Yesterday marked the 40th anniversary of the release of the original Star Wars film in theaters! 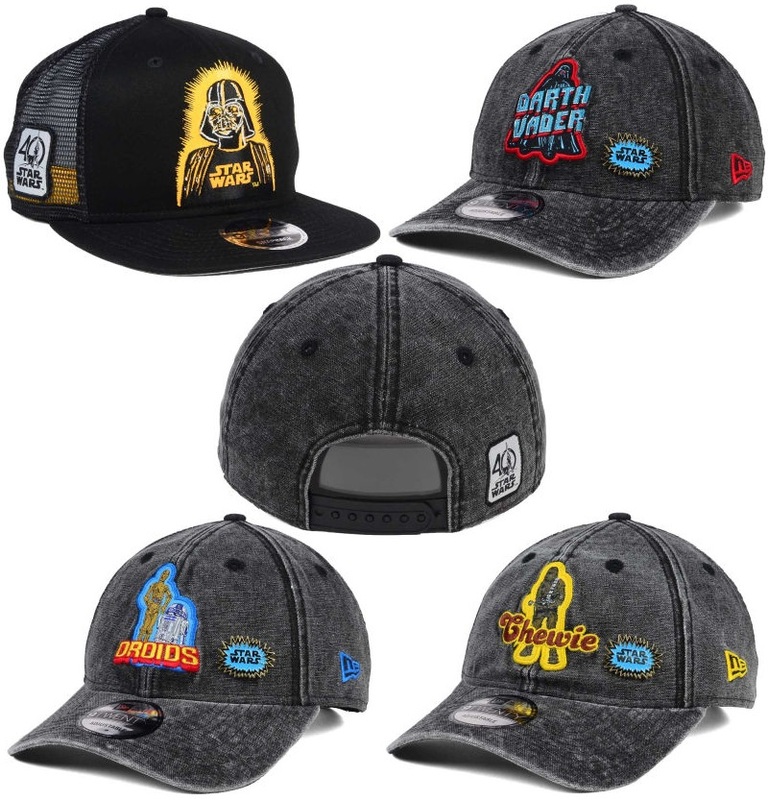 To commemorate this amazing milestone, New Era Cap has released this Star Wars 40th Anniversary Hat Collection. The Blot loves the Star Wars 40th Anniversary logo Disney has been using lately, and all of the hats in this collection feature it prominently. The designs feature a variety of classic Star Wars characters such as Darth Vader, Luke Skywalker, Princess Leia, Chewbacca, C-3PO and R2-D2. All of the Star Wars 40th Anniversary Hat Collection snapback caps seen here are currently available at the New Era Cap online store for $24.99-29.99 each.